Welcome back to the first Developer Blog of 2019. We hope you had a great holiday season and a good start into the new year. Today we are going to talk about the environment and weather in Battle Cry of Freedom. As usual, clicking on any of the images, will open a higher-res version of them. Welcome back to the first Developer Blog of 2019. We hope you had a great holiday season and a good start into the new year. 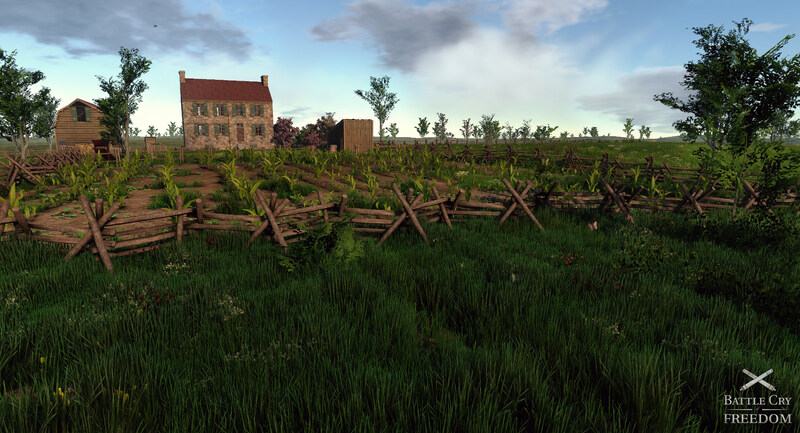 Today we are going to talk about the environment and weather in Battle Cry of Freedom. As usual, clicking on any of the images, will open a higher-res version of them. By the way, we have just created a new Discord Server! You can now talk to us directly about the game there. 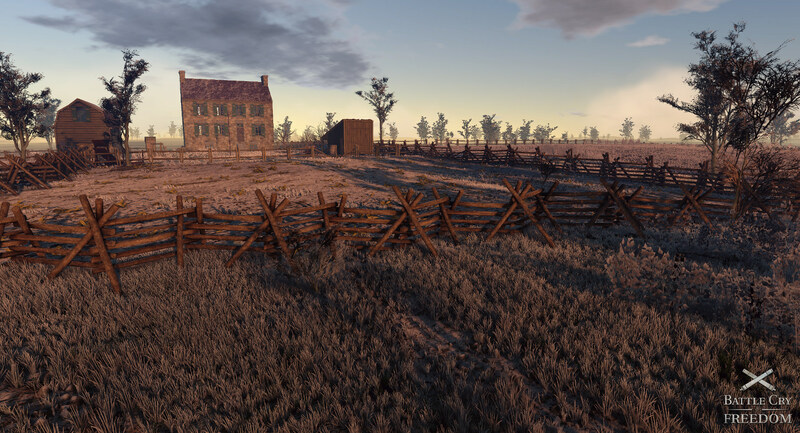 Battle Cry of Freedom will feature a dynamic weather, season and time of day system. Time will progress as expected and turn day to night and back to day. Nights will be realistically dark and if not covered by clouds, feature an impressive and accurate, night sky. Each map has its own settings for Temperature, Humidity, Gravity, Longitude, Latitude, Water Vapor Density, Season, Date, Wind, Weather and Sounds. The length of the day as-well as lighting, sun position, moon position and the position of the stars will change depending on the date and geolocation of the map. Many of these settings will be adjustable using server commands or the admin panel. 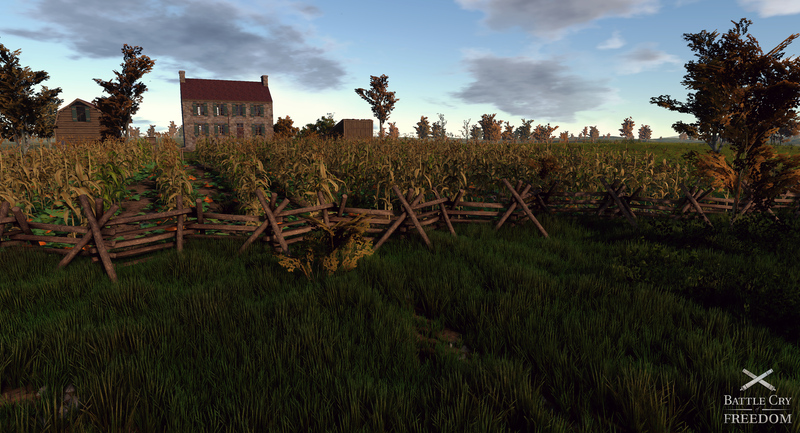 Each map will feature seasonal variations for Spring, Summer, Autumn and Winter. Each will have its own feel and possibly different gameplay, as crops will be in different stages of growth, grass at different lengths and the flora in general will be significantly different from map to map. Obviously each seasonal variation also features its own set of sounds and weather/temperature settings. The weather and time of day will dynamically adjust the temperature, humidity, water vapor density etc.. These values also affect our bullet systems physics. 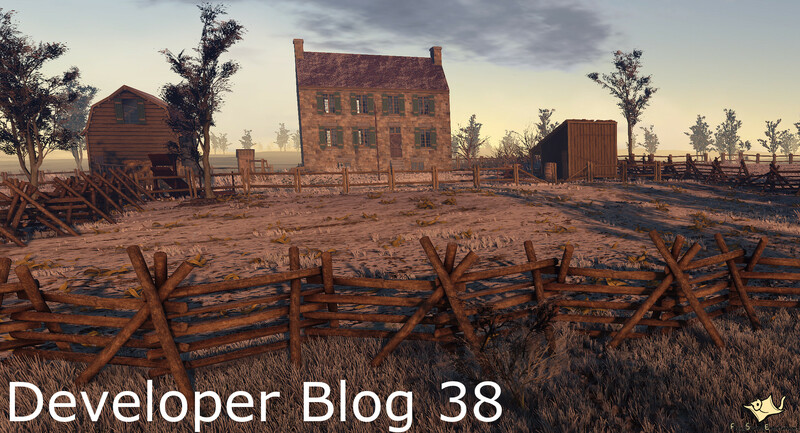 If you want to know more about how this all ties together please read our Developer Blog 31. The cloud coverage, wind speed and wind direction can change randomly and dynamically. While not guaranteed, a high cloud coverage often means rain. Unlike in Napoleonic Wars, it will no longer rain inside buildings or underneath roofs. Additionally, a temperature setting lowers the temperature during the night and raises it during the day. If the temperature drops to under 0 degrees, rain will turn into snow and if it is above, snow will turn into rain. Snow will accumulate realistically on the terrain and stay until it starts raining or gets to warm, at which point it will slowly melt away. Obviously it will not snow on summer maps, as the temperature will simply be to high for it to start freezing. However, on winter maps you might be able to see both rain and snow, depending on the current temperature. Wind will change direction and strength. This is observable in the environment, clouds will change direction and move faster or slower. Trees and other flora will shake more violently and obviously particle effects, such as smoke and flags will be affected by the change too. Battle Cry of Freedom is making use of the Beaufort wind force scale. In BCoF very strong winds can even break trees or other objects. This means that there are 12 different wind speeds available. Here is a comparison of a low, and a high wind strength. Thank you for reading this weeks, rather short, blog. We hope that we can come back to you rather soon. We are currently in the final stages of preparing the game for an early alpha test and as such we are currently very busy. We are prioritizing game development over writing blogs, so please bear with us. Join the discussion of this blog here. Amazing work thus far lads, simply spectacular with each update to the page. I'm very excited for this game. SO much potential for this to be up there with the greats.